Linen fabrics are made from 100% flax fibres. The threads of the fabric will vary in thickness, and slubs may occur - these are a naturally occurring feature and can add to the charm of a stitched piece. The linens offered are all 'evenweave' in that they have the same number of threads per inch in the warp (lengthwise) and weft (cross-wise - selvage to selvage) directions. Linen fabrics dye beautiful, and the higher counts will have more colour intensity that lower thread count linens dyed using the same dye formulation. 100% linen, 20 threads to the inch (7.9 threads per centimetre).Base price shown is for a fat quarte..
100% linen, 20 threads to the inch (7.9 threads per centimetre). Natural colour, perfect for th..
100% linen, 25 threads to the inch (9.8 threads per centimetre).Base price shown is for a fat quarte..
100% linen, 28 threads to the inch (11 threads per centimetre).Base price shown is for a fat quarter..
Natural coloured 100% linen, 28 threads to the inch (11 threads per centimetre).Base price shown is ..
100% linen, 28 threads to the inch (11 threads per centimetre). 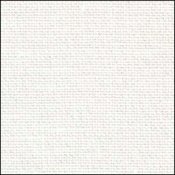 Fine opalescent thread woven in to g..
100% linen, 32 threads to the inch (12.6 threads per centimetre).Base price shown is for a fat quart..
Natural colour 100% linen, 32 threads to the inch (12.6 threads per centimetre).Base price shown is ..
100% linen, 32 threads to the inch (12.6 threads per centimetre). Fine opalescent thread woven in to..
Natural colour 100% linen, 32 threads to the inch (12.6 threads per centimetre). 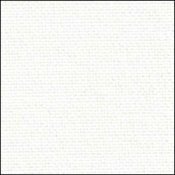 Fine opalescent thr..
100% linen, 35 threads to the inch (13.8 threads per centimetre).Base price shown is for a fat quart..
100% linen, 40 threads to the inch (15.7 threads per centimetre).Base price shown is for a fat quart..